Cross-country skiing combines sports with pleasure: glide through the peaceful landscape, get to see more than on a day on the ski slopes, and at the same time do something for your physical well-being. Cross-country skiing stimulates your stamina, strengthens the blood circulation and leads to greater balance. To compensate for your office life, this almost meditative winter sport is ideal. 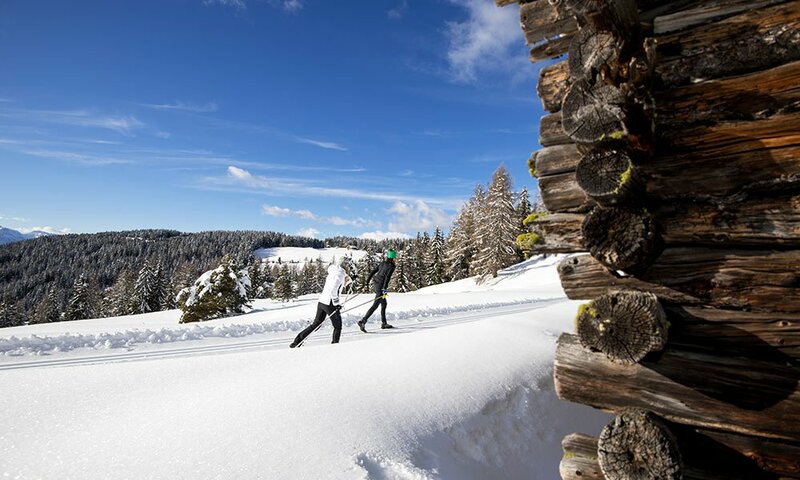 Here in Val Giovo Gitschberg, you will find excellent conditions for cross-country skiing: the Alpe di Rodengo and other trails are easily accessible from the hotel. Gitschberg Val Giovo is a first-class cross-country skiing area. It offers four varied, well-groomed trails with a total length of 33 km. No matter what you are looking for when you step on the skis, here, you are sure to find the right trail. Beginners and experts, as well as families, love to glide through the snow – afterwards, they feel like a new person. 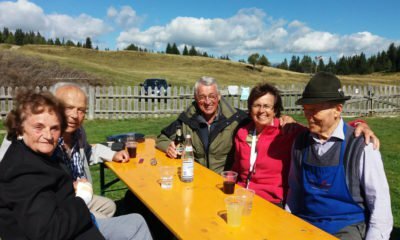 Besides the ideal cross-country skiing conditions, you may also find many alpine huts and other rest stops that offer you soothing warmth and a hot drink. Some are located directly on the trail. 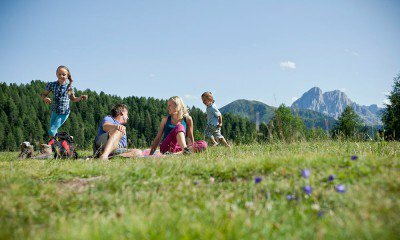 The cross-country trails in Gitschberg Val Giovo take you to Maranza, Valles and Fundres. However, a very special experience is cross-country skiing on the Alpe di Rodengo at 1,930 meters above sea level. The alpine cross-country trail “Alpe di Rodengo-Luson” starts at the Zumis car park and takes you over 15 km through a breath-taking winter scenery. Pause for a moment, so you will not miss any of the magnificent panoramic views of snow-capped peaks. This trail has an easy to intermediate difficulty level, and thus is suitable even for families. 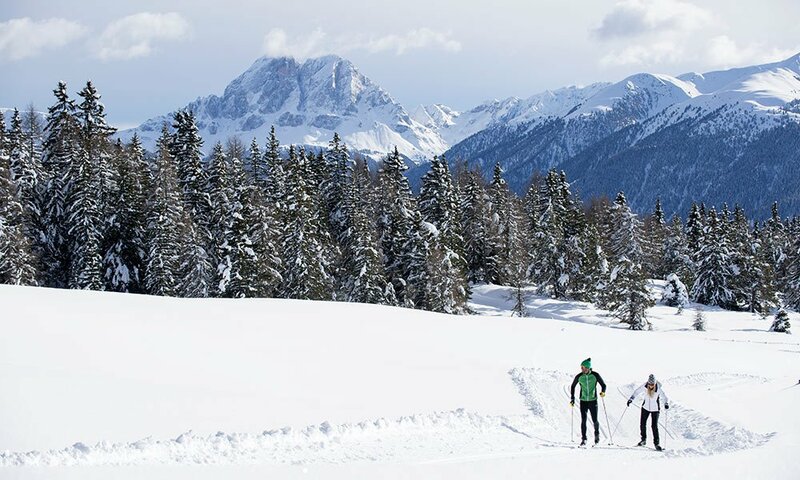 If you wish to reach out further, the Isarco Valley offers you 240 km of cross-country skiing trails – a diversity that has shaped its reputation as cross-country valley.